Go to our website at GreenGiantHC.com. 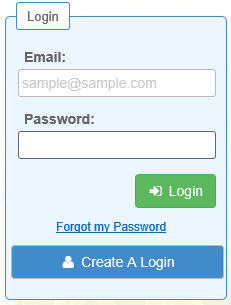 At the top right of your screen, select “Manage My Account.” This will take you to the login screen. If you are already registered, you will be able to sign into your account using the email and password you created (or click, “Forgot My Password”). Once you have registered and chosen a password, an email will be sent to you asking you to verify the email address. After your email address is verified, you will be able to log in with your email address and password. 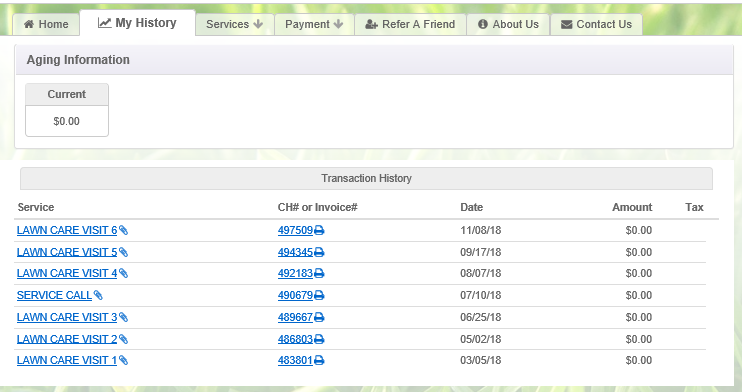 When making payments online, you can scroll to the bottom of the screen to see a breakdown of the balance due. 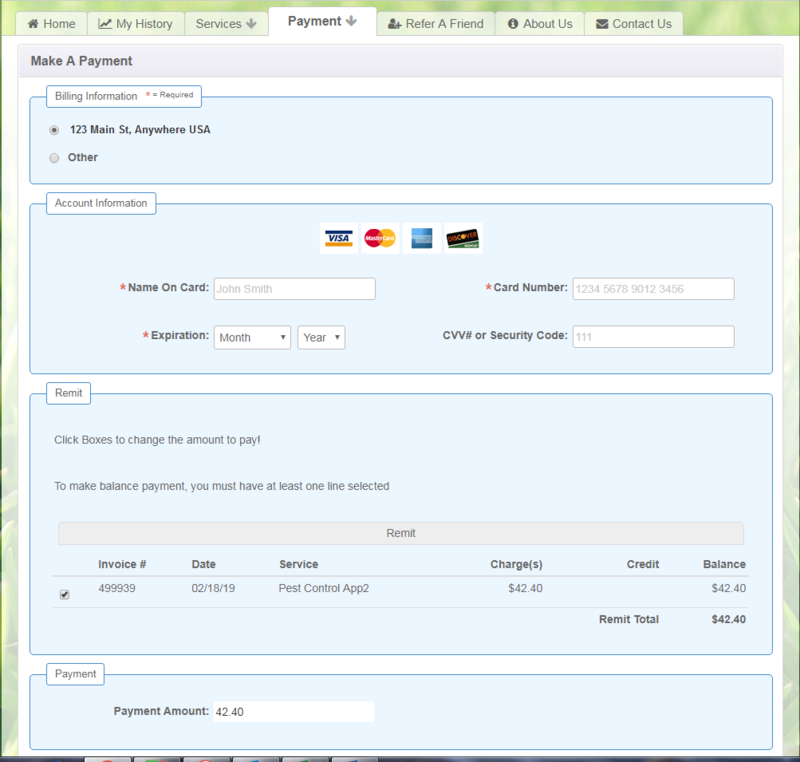 On this screen you will be able to select the balance you want to pay, enter your credit/debit card information, and submit payment. Unfortunately, we cannot accept ACH or electronic checks as a form of payment on our website at this time. Checks can be mailed to Green Giant Home & Commercial, at 5 Cemetery Road, Fleetwood PA, 19522. Click the “Home” tab, to see information about your services for the current year. 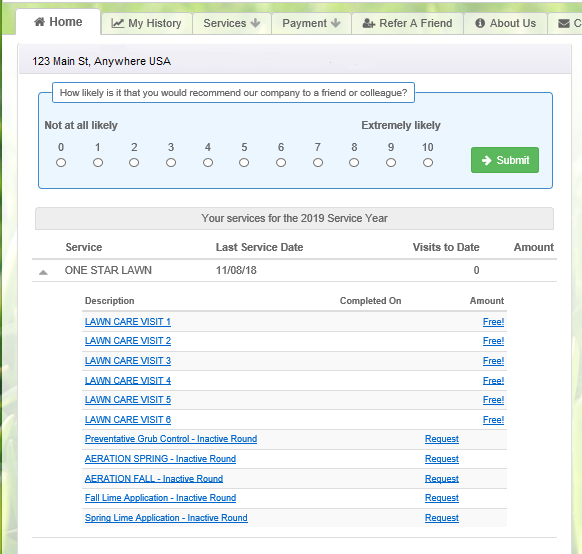 View the “MY History” tab, for information on completed services. If you have any problems creating an account, logging into our customer website, or have questions about your payment, call our office at 610-944-0408. NOTE: Customers with services provided by both our Lawn & Tree Care division and Pest Control division will need two different accounts. All pest control services that do not include pests on plants. It became clear that combining all of these services together made things confusing and hard to follow. If you need further assistance, please call our office at 610-944-0408. Green Giant Home & Commercial’s Lawn Care services control weeds, build the thickness and density of your lawn and protect it from being damaged by insects and disease, providing you with a great-looking, healthy lawn. We offer fertilization, weed control, liming, insect control, and aeration and overseeding. Visit our Lawn Care page for more information. Green Giant performs: Proper Diagnosis and Treatment of Tree & Shrub Problems, Insect & Disease Control (including Spotted Lanternfly), and Nutrient Management via Deep Root Fertilization to keep your plants healthy and thriving. Visit our Tree Care page for more information. Green Giant’s Non-Lawn Weed Control services eliminate unwanted vegetation in a wide variety of locations for both residential and large commercial/municipal properties such as: Weed Control in Planting Beds (yes, no more pulling weeds! ), around obstacles to reduce weed eating, along fence lines, stone/gravel driveways & parking lots, swales and roadside/curbside vegetation management. Find more information, visit our Vegetation Management page. Our full service pest control division provides both Year-Round Service Programs that cover the vast majority of pests that you will encounter and also One-Time Corrective Services for pests such as bees, ants, termites or mice. For more information, visit our Pest Control page.